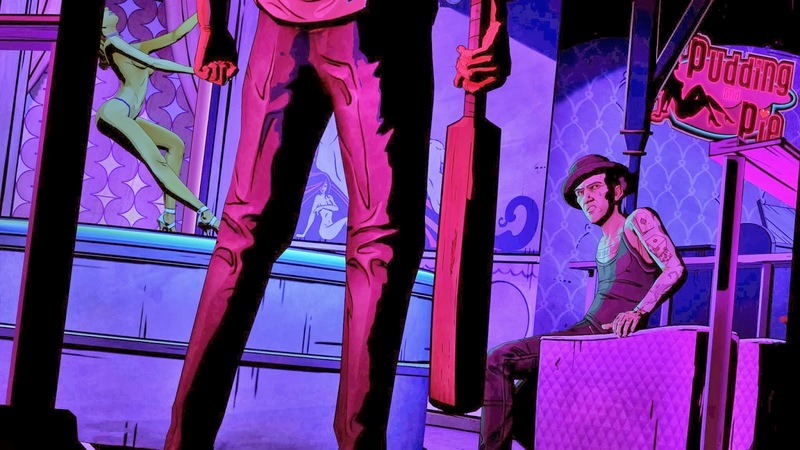 The Wolf Among Us: Smoke & Mirrors, the second episode of Tell Tale's Fables retelling, is absolutely horrifying. Not in the terror sense per se, but in its painting of a grotesque world. To be honest, I am still not sure it is a good thing for the series. Sure, noir fiction has roots in pulpy gothic horror fiction. Bigby works as a hardboiled detective out to shine some light on the seedy underbelly of Fabletown. Still, having made such a significant thematic shift in Smoke & Mirrors, it will be hard to return to perhaps a more mechanically resonant experience. In the first episode, the did-I-make-the-right-decision paranoia that comes so naturally to Tell Tale's narrative system works wonderfully with the detective setting. NPCs constantly ask Bigby what he things about one thing or another, and as a player full of self-doubt over their own decisions, players can give no easy answers. Trying to read other characters and making measured decisions with unknown impacts is par for the course for this style of interactive fiction. However, with Bigby inhabiting an even darker portion of Fabletown, his decisions mean far less, and intentionally so. People ask him, and by extension the player, fewer questions. Other characters command more attention, they talk to Bigby reluctantly, or at him and not with him, or sometimes not at all. The repeated theme is one of exploitation, over and over again, and in the middle of the five-part series, Bigby is stuck in the mire. The Wolf Among Us still works, maybe even more so than the first episode, but it is not a fun place to be. Can we really look forward to what comes next?